It's his newest number one track, and 'Love Yourself' was a crowd favourite at the #CapitalJBB! A track co-written by Justin Bieber and Ed Sheeran was always going to be something amazing, but we were NOT prepared for quite how incredible 'Love Yourself' would sound live at London's O2 Arena. Hold us! WATCH all the live performances from our Jingle Bell Ball With Coca-Cola! Justin bagged yet another number one with his new single 'Love Yourself' from his new album 'Purpose' - and OF COURSE it spawned the immortal line 'My mama don't like you, and she likes everyone'. EPIC. 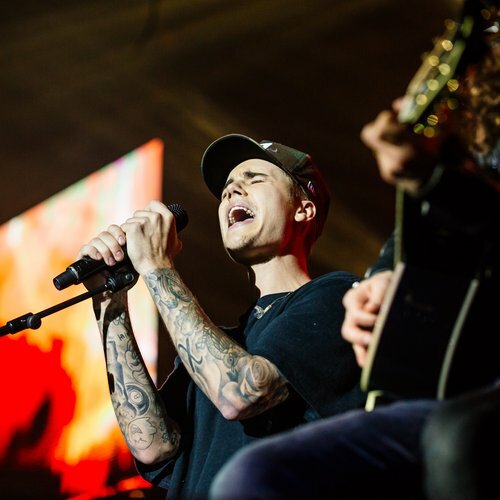 The Biebs proved exactly why he's one of the most popular performers on the planet - as well as being seriously HOT, he's also hella talented - as the 16,000 strong crowd at Capital's Jingle Bell Ball with Coca-Cola were lucky enough to see in the flesh! Keep it Capital TV for full highlights from this year’s Jingle Bell Ball with Coca-Cola on Sky 388 or FreeSat 507 or click here to watch.